Questions regarding the use of devices in Suitest. If you cannot find an answer to your question please contact us. Check the version of SuitestDrive your currently have downloaded. If your SuitestDrive version is lower than 1.2.0 then it is no longer supported and should be removed. Remove the old version of SuitestDrive by going to the folder that you have unzipped to originally and remove all the SuitestDrive files. Go into your available control units, find the SuitestDrive your are removing and delete it. Now you can download the latest version from the control units page. Once the latest version of SuitestDrive is downloaded, unzip it and run. For more information check SuitestDrive documentation. Verify that all cables are connected correctly. Check that the Ethernet cable has an internet connection by plugging it into another device and navigating to https://the.suite.st. Monitor the flashing LEDs, and take note of how they behave in the startup sequence. First, the bottom board will power up, you will see red and green LEDs then the network socket on the bottom board should be green if the connection is functional. After about 30 seconds the control ports will start flashing orange which indicates the CandyBox is fully booted and ready. 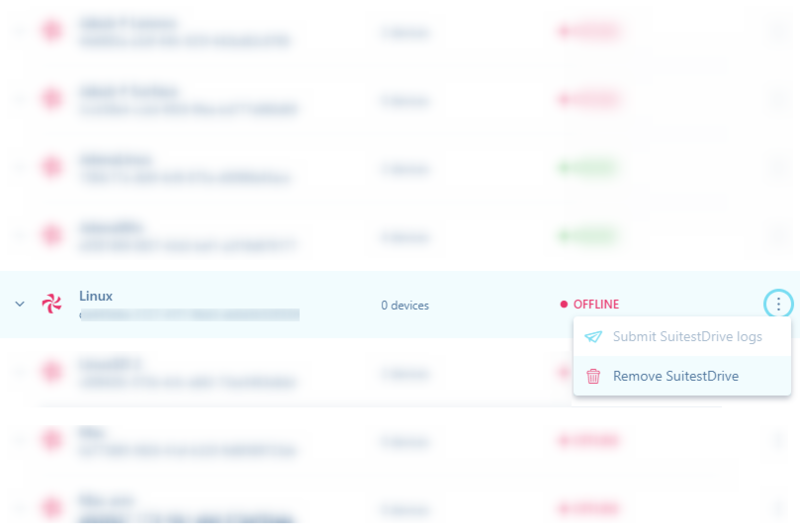 If you find that it is a network connectivity issue (no network LEDs) then make sure that the CandyBox can communicate with the outside world (Suitest Servers). Contact your friendly network administrator to allow the CandyBox to go through the firewall on ports TCP 22 and TCP 443. Check that the power is connected correctly and the outlet it is plugged into is functional. Due to security protocol on Mac OS, SuitestDrive will not automatically update when launched from the default Downloads folder. To enable automatic updates please relocate SuitestDrive to any accessible folder, for instance, Desktop or Applications folders. If it seems like devices are not working as intended, then do not worry it is Suitest trying to do its job by checking if your devices are active and in the desired state (such as being on Suitest channel). Suitest has a built-in power saving mode where after 10 minutes of device inactivity, the device will be turned off. Read more about the so-called boogeyman. 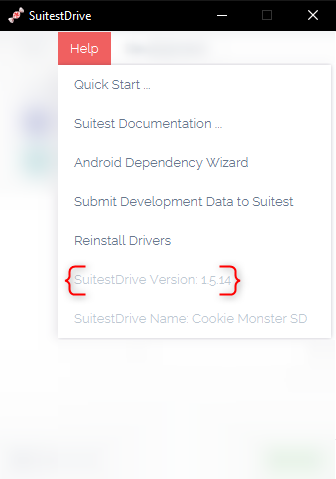 How should I remove an unsupported version of SuitestDrive? I cannot control my Xbox One via the virtual remote control (VRC), how can I solve this? The CandyBox is shown as offline in my Control units, what could cause this state? The CandyBox is not responding (powering on), how can I solve this? SuitestDrive is not automatically updating on Mac OS, how can I solve this? My devices seem to be turning off by themselves, why is this happening?